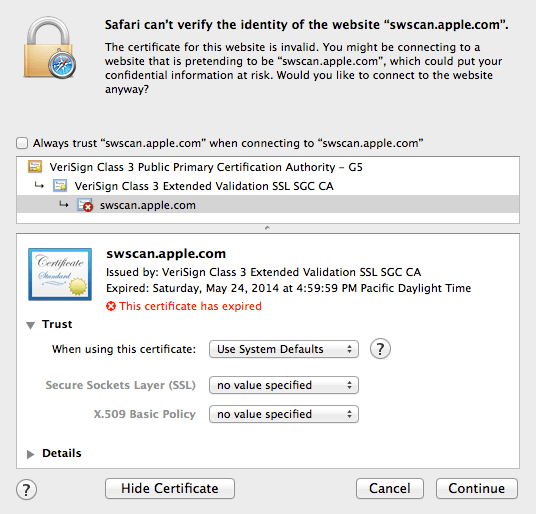 Apple updated the SSL Certificate for swscan.apple.com on early Sunday, May 25, 2014. Late Saturday afternoon, a colleague told me that he was having issues getting software updates through the Mac App Store. 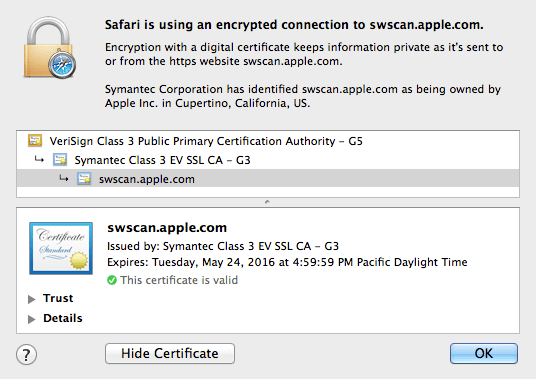 Upon further investigation, apparently someone at Apple forgot to install new SSL Certificate for swscan.apple.com. 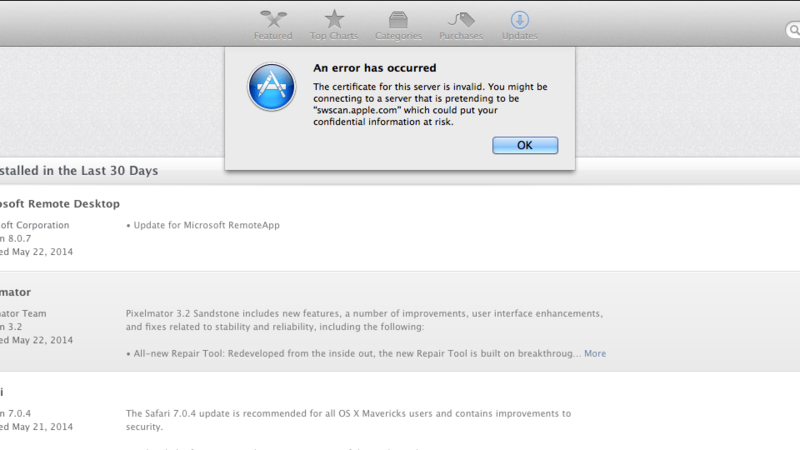 Is it possible that a small company like Apple could not afford at least one person to make sure all their security certificate up to date? Mr Tim Cook, I am available to do the one job. How about $200,000 a year sound? Having the same issue… how do did you fix this? Either you wait or add the expired security certificate to the exception. I’d suggest you wait. Ultra, So the wait begins… thanks. First set your date to 22.05.2014 an everything will be fine with your updates. After updating your software set your date back to current date. Thanks, needed this as I have to update Mavericks so I can migrate.